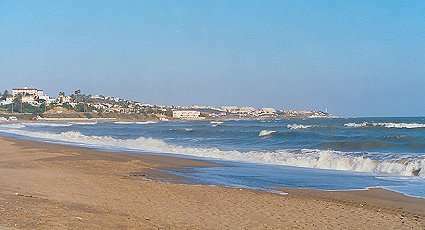 The beaches at Calahonda are perhaps the main reason the area is so popular with North European holiday makers. 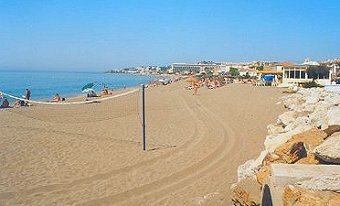 At Calahonda the beach is golden soft sand - ideal for family holidays. 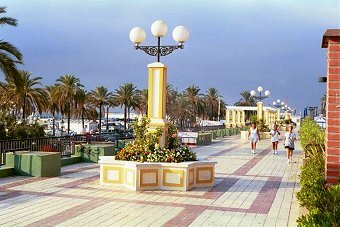 Along the coast on virtually every beach you will be able to enjoy a selection of good quality restaurants and chiringuitos (Beach Bars). They are generally reasonably priced and offer something for everyone. Sunbeds may be hired from restaurants on a half day or full day basis. Some parts of the beaches are set aside by the local authority for beach games such as volley ball. The use of these facilities is free of charge. 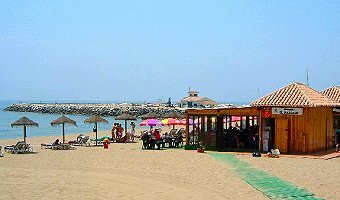 The resorts with excellent beaches near to Calahonda that you may choose to visit include Fuengirola, (promenade above), La Cala de Mijas , Torremolinos, Cabopino, Marbella and Puerto Banus.